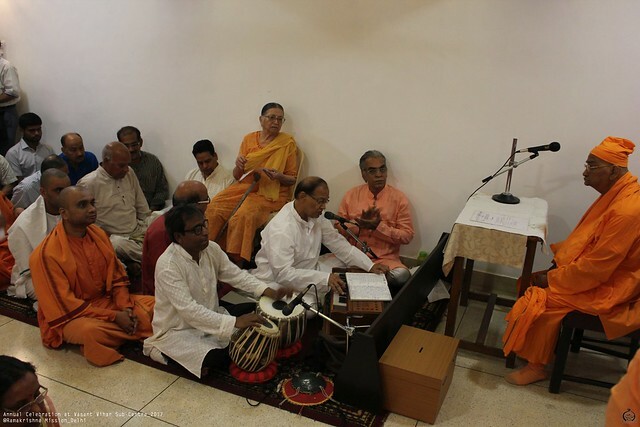 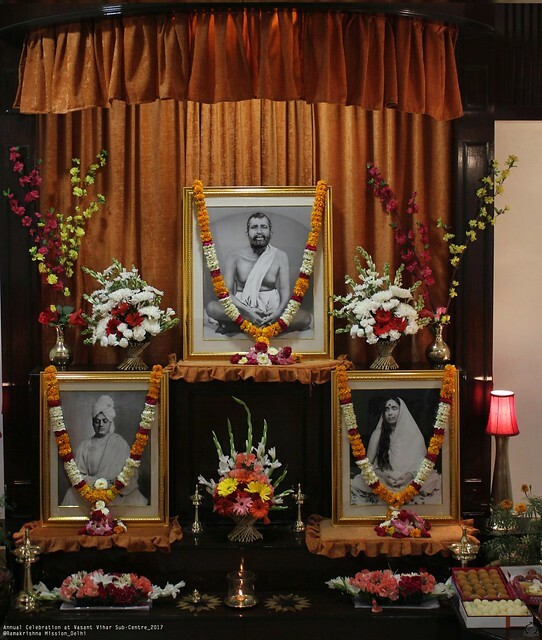 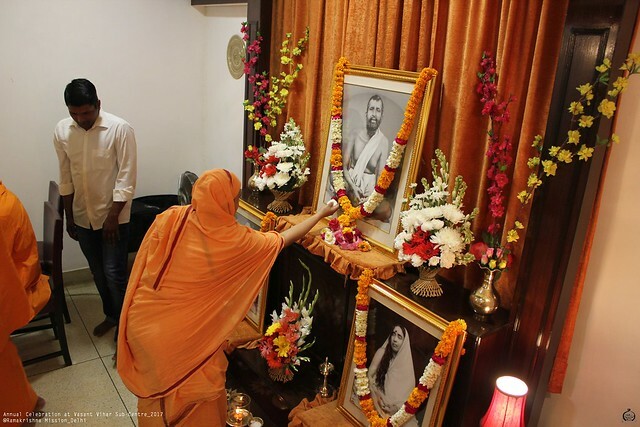 The Ramakrishna Mission, New Delhi, organized the First Anniversary celebration of their Sub-Centre on 9th April 2017 in the Temple at F-4/13, Vasant Vihar, New Delhi, the house of late C.M. 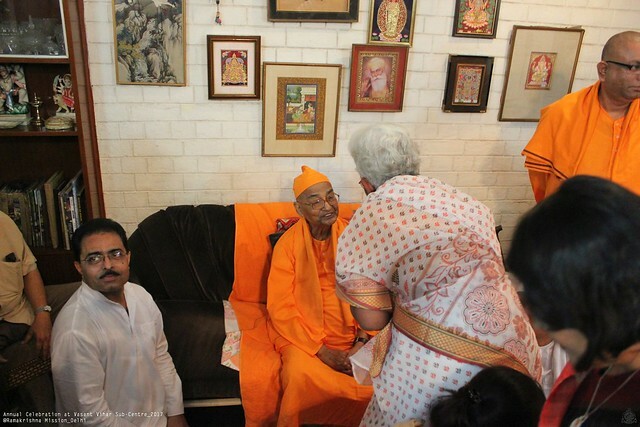 Malik and Smt. 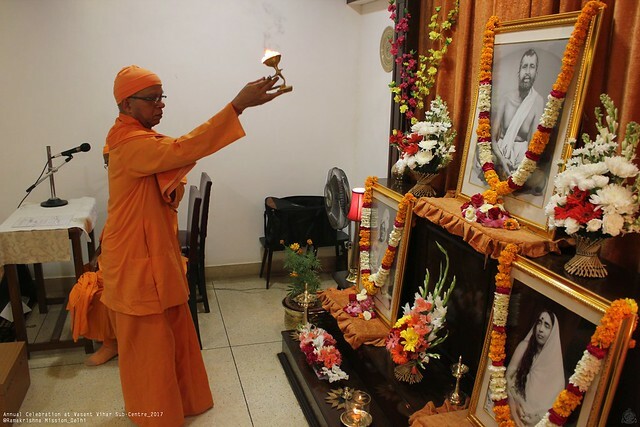 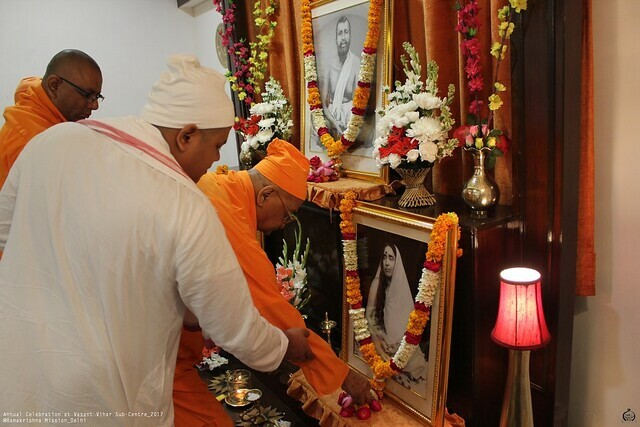 Shunila Malik donated to the Ramakrishna Mission in the service of Sri Sri Thakur, Ma and Swamiji. 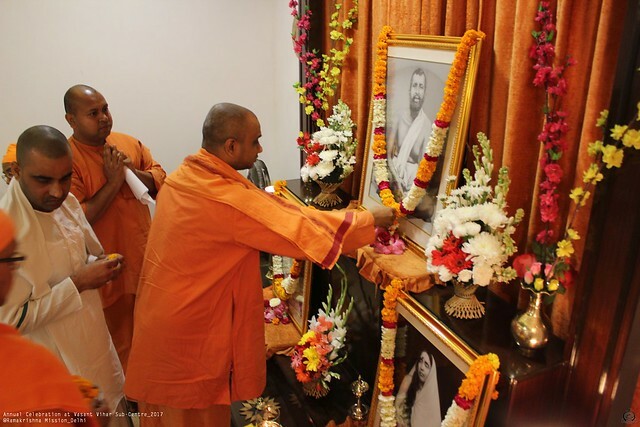 This was inaugurated in April last year by His Holiness Swami Vagishanandaji Maharaj, Vice-President, Ramakrishna Math and Ramakrishna Mission. 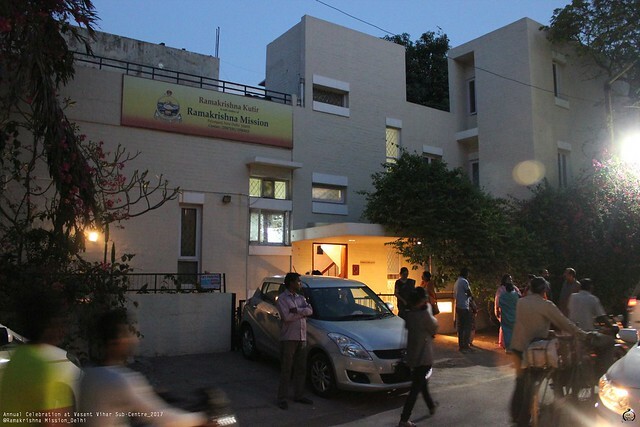 Incidentally, as His Holiness happened to visit Delhi again during this month for initiating a few spiritual aspirants, he was again invited to grace the First Anniversary celebration of this Sub-Centre on the evening of 8th April and he so kindly accepted the same. 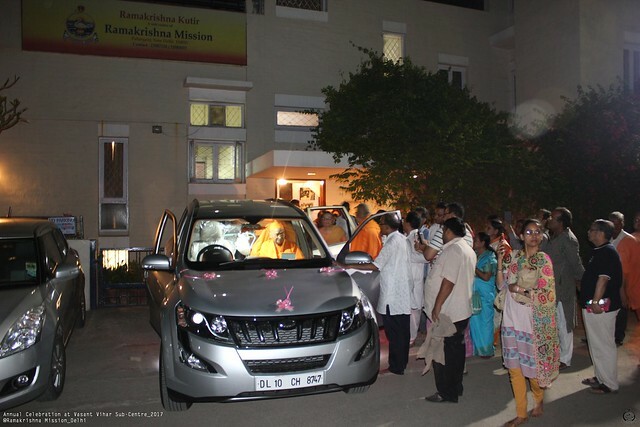 His Holiness Swami Vagishanandaji Maharaj arrived at the venue along with Revered Secretary Maharaj and took his seat in the Temple while the devotional songs were going on. 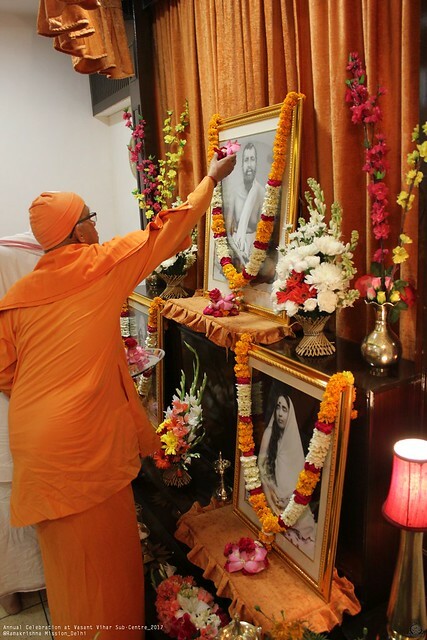 Then he offered arghyas to the Holy Trinity and Revered Secretary Maharaj did Arati on behalf of Vice-President Maharaj. 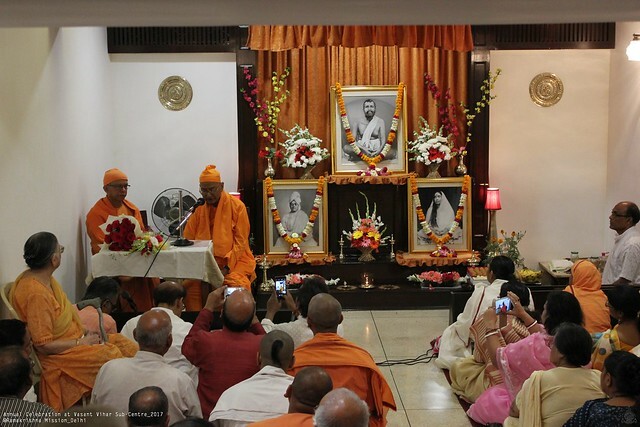 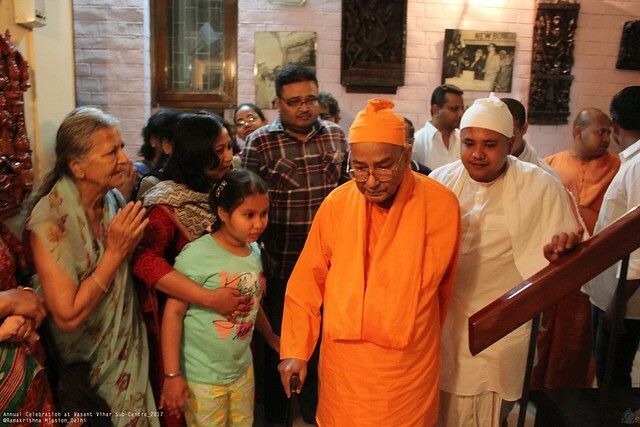 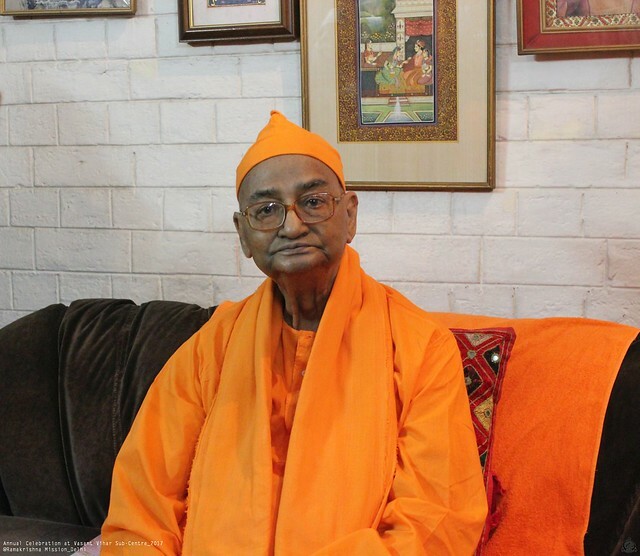 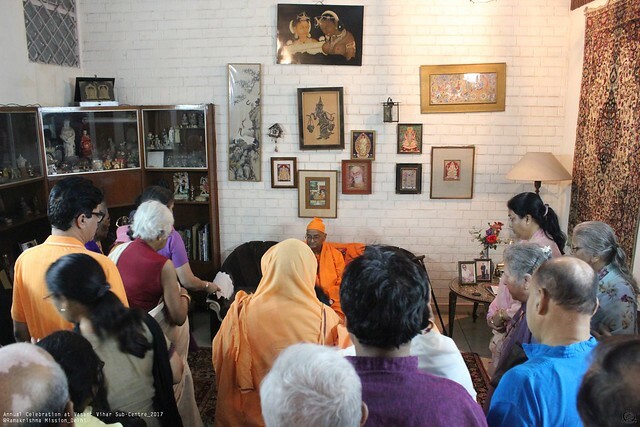 After the programme in the Temple was over, His Holiness Swami Vagishanandaji Maharaj came upstairs and took his seat in the hall when all devotees who attended this programme offered pranams at his holy feet. 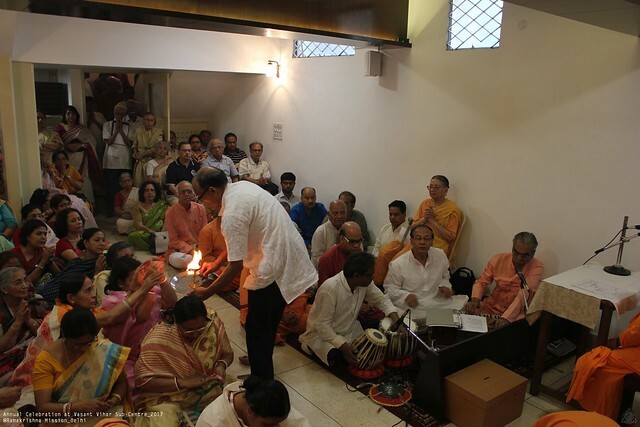 They were all given Prasad packets before leaving the premises.